For the past couple of years, I’ve been completely down on the present and future of the Argentina national team, as well as the overall state of soccer in the country. 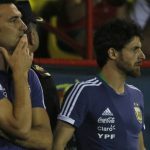 Not only was the AFA proving inept at doing simple things such as organizing the Superliga; the well of talent appeared to be running dry due to a neglection of the youth teams at the international level. Everywhere I would turn to when watching high-profile matches, Argentinian stars were scarce. Sure, Lionel MESSI, Sergio AGÜERO, Paulo DYBALA and a few others popped up. But when I scoured through the rosters of big clubs, there were at most one or two Argentinian players showing up, while countries like Brazil, Spain and France littered these big clubs with incredibly talented players. While that’s still the case, Argentina seems to be on the upswing. Giovani LO CELSO has been one of the best players in La Liga and the Copa Del Rey since joining Real Betis. Leandro PAREDES just made a huge move to PSG and will soon be a fixture in the starting lineup once he gets acclimated. Joaquin CORREA continues to make a lasting impression for a Lazio side fighting for a European spot and a spot in the Coppa Italia Final. Lautaro MARTÍNEZ has begun forcing Luciano Spalletti’s hand, as he’s been frequently used as an impact sub and should really be a staple in the starting eleven considering their offensive struggles. What’s exciting about all of those players is that they’re all in their early- to mid-20s, and they still have their best soccer ahead of them. If we go even younger and focus on the players under 20 years old that Argentina is producing, the excitement grows even more. The Sudamericano Sub-20 has accentuated that. Last night, the Argentina squad took down Venezuela with a convincing 3-0 victory. The win moved Argentina to second place in the final stage standings, comfortably ahead of the bottom two teams – Colombia and Brazil – who are five points back with just two match days left. A spot in the top four would ensure Argentina’s passage to the 2019 FIFA U-20 World Cup in Poland, while a spot in the top three also guarantees a spot in the 2019 Pan American Games. But this group appears hungry right now for the Sudamericano title, having rattled off two straight victories following an initial loss to Ecuador. In yesterday’s 3-0 victory, San Lorenzo forward Adolfo GAICH netted a hat-trick. A 6’3″ aerial threat with plenty of skill on the ground, GAICH put it all on display; he used his power, heading ability and finishing prowess to put three in the back of the net. The final goal was set up with a brilliant through ball from midfielder Aníbal MORENO, a 19-year-old Newell’s Old Boys product whose game is reminiscent of Luka Modric (at least last night). Mid-tournament, Atletico Madrid announced that center back Nehuen PEREZ would be joining the first-team following his return from the Sudamericano. The 18-year-old pitbull defender had been loaned out to Argentinos Juniors from Atletico, but they’ve been very impressed by him and need center back depth so they felt compelled to bring him back. 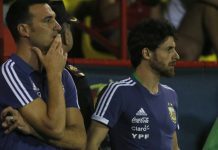 The River Plate attacking duo of Julian ALVAREZ and Santiago SOSA has been a staple for sub-20 manager Fernando BATISTA. ALVAREZ is just 19 and made a substitute appearance in the Copa Libertadores Final. And then there’s Pedro DE LA VEGA, a 17-year-old wunderkind who has already established himself as a key contributor for Lanus in the Superliga and has been one of Argentina’s players of the tournament so far. Even more encouraging than the play of all of those young talents is the fact that several highly touted prospects haven’t been able to break into the squad due to the performance of others. 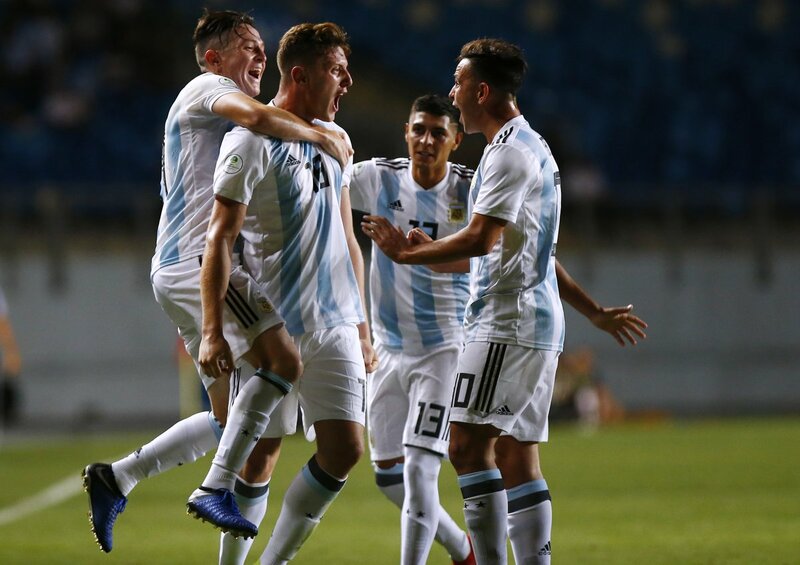 Facundo COLIDIO (who was the player of the tournament in last year’s COTIF Tournament), Thiago ALMADA and Jeronimo POURTAU are all highly regarded in Argentina and internationally, yet they weren’t included in yesterday’s starting lineup. That sign of impressive depth should be a beacon of hope for Argentina fans who had grown skeptical about the incoming national team talent over the past several years. A Sudamericano title would just be the cherry on top. Anybody watched Villefranche vs PSG in the French cup? Paredes played his debut game today, a full 90 minutes. Just curious how he did. PSG struggled to break down a team from the third tier of French League. He played well ….was getting out of position many times on the counter attack but his passing was sublime for a debutant. Well Tuchel seemed happy with his performance so we’ll see. The true litmus test for paredes will be the champions league. 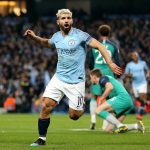 Aguero & Otamendi start for Man City against Everton. I’m glad Guardiola is finally realizing how s*** John Stones is and is remembering that Otamendi was a pillar that actually led him to his first Premier League title. Yes, stones is starting as well, but hopefully Otamendi has another good showing against Everton, his spot should be secured against Chelsea. And once Mendy is 100%, we hopefully see the last of Stones! When we will play our last game against Brazil in sunday, Almendra will start for Boca against Begrano in league. We need him. His injury was not that serious to leave him, especially if other CMs like Lo Celso and Lopez almost do not play. Ortega is injured for tomorrow’s match and the position will be occupied by Pereyra. Fausto vera will take the place of nahuen perez if the appeal is not overturned by conmebol. Bad luck as not only vera is playing out of position, he is not half good as Perez that too against strong Uruguay. Batista is a joke. Vera was poor on CM position yet during COTIF tournament in lost against India. Vera was not enough good to be on SUdameriacano even on his normall CM position, let alone as CB. Due to irrational selection Batista is converting fullbacks to CBs (Medina), central midfielders to CBs (Vera), strikers to wingers (Alvarez), playing with 3 strikers (Gaich, Romero, Alvarez). He took 3 leftbacks (Medina, Pereyra, Ortega). The fourth forward is completely unused – wastefull decision hence we have not better winger (like Barreal) than Alvarez. Julian Lopez, who was taken instead on injured Almendra is also unexploited potentiall. Every game is so hard but that against Uruguay might be decisive. So true….its is baffling that argentina doesnt have a cb backup. There was no need of 4 strikers. Though injured balerdi would be available for last match and hence he shouldnt be allowed to leave, I mean who knows he should have been able to play tomorrow. This so sad because if argentina are able to win tomorrow not only they will be in top 3 but also place one foot in becoming champion. From where do afa finds such mad person like batista ? Who appoints them ?tapia? Oh yea! Absolutely. Let’s get all the members from Mundo together and write a strongly worded letter to Tapia and the rest of AFA. That’ll show them! Then change will come after! Icardi and Aguero are enough for Copa.In case,Dybla should play as center forward.Dybla should change his playing position to center forward in Juventus. Having a forward like Gaich will be exciting! He could bring the balance to the national team. Icardi is a great finisher but a bit limited in defensive task and contribution to the game. Pretty much like Romeo. Dybala, Lautaro and Angel Correa could be all great striker but not tall enough. I think the formula in attack of France during the last WC is really the best: a fast winger/striker to break the lines, a strong forward to free the space and a creative half 9 who can score. If I am the national team coach, my attack will alway be composed with these 3 profiles of players. Gaich has only upsides. If only he will keep decent level on finish he might be our 1st leader striker in future. Very good ball control, quite intelligent, good pace. First of all tall and so strong what makes him nightmare for many defenders, especially less gifted on physical conditions. He just must work still on his definition. Yeah his profile has been missing for a while. Kind of “pivot”, a good fixing point. He can help others to finish. If Messi stays maybe in 4 years we will see an attack Vargas-Gaich-Messi, will be fun. There are faster players like Pavon and Joaquin Correa too but I see nobody more creative than Vargas. Otherwise De Paul is great too but Vargas seems even more talented. 2nd option on the left should be Pity. Great posts. With all these new talents, we can be optimistic in the future. In addition to the players mentioned, there are also players like Almendra, Palacios, Foyth, Balerdi, Vargas who could be world class players. I guess in 4 years, 1 third of the team will be from this generation. This is how lame is Batista’s selection what was evident. If Nehuen Perez will be out for Uruguay then we have not sub CBs. Even Medina is not CB, playing as fullback in his club. There are many young big talents…Palacios, Almendra, Foyth, Balerdi…. Argentina producing plenty of talents right now in different areas of pitch. Good sign. I think currently France producing more talents than any other countries… Argentina is just behind…! Italy very impressive too. I don’t think the current U20 of France is stronger than Italy and Argentina. I like reading Roy’s writing. If u don’t like, u can start to contribute. Wow, some positive here on Mundo. What a refreshing change. Enjoy it while it lasts LOL! Yeah don’t understand alvarez played almost all the game. I didn’t know this player before the competition and to be honest I only knew few of them like Almada,De La Vega, Romero and Balerdi. Maybe he was really impressive with his club. Hey Dude. Great Post as Usual! You know you should consider doing a post for Player Ratings again for this years Copa America like you did for last years World Cup and a couple friendly matches. You’re analysis of players is very good, unbiased, and would be greatly appreciated, as it was for the World Cup last Summer. It would be nice if you could do an in-depth player ratings posts for all of Argentina’s matches this summer, depending on how far we go into the competition. If not tho, that is understandable as well! Thank you so much for the kind words! I definitely will be bringing back the Player Ratings for the upcoming friendlies in March and for the Copa America. Hoping to put out a good amount of content for the Copa, as it’s one of my favorite tournaments in soccer. Look forward to reading those posts! Thanks matias nice post mate. I believe Argentina will win major tournament with in next 10 years . Thanks dude! Definitely seems like they have a plan together, and I truly think Menotti is the right man to get it all organized. Expectations should be tempered for this Copa, but the future looks okay for now.